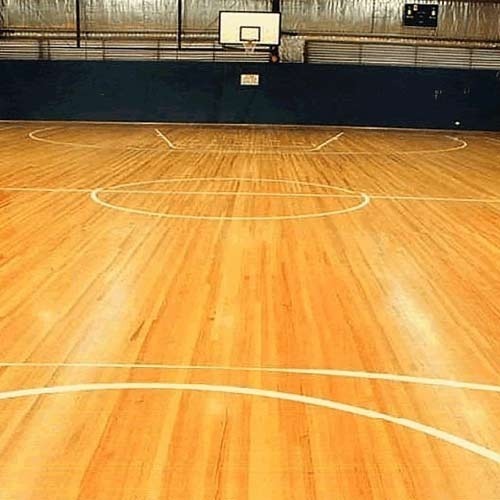 As per the demands and needs of our patrons, we are providing them superior quality Sports Flooring. These Sports Flooring are affordable and reliable due to which these are appreciated by customers. Our Sports Floorings have been used in various types of sports events. SRK Fashion Floors is in the unique position of offering you flooring products imported from Switzerland and available in a wide range of shades, grades, textures & sizes. We represent "KRONOSWISS" in Andhra Pradesh. Kronoswiss is the biggest manufacturer of Laminate Wooden Floors in Switzerland and confirms all European standards. It is our pleasure to introduce ourselves as market leaders in the field of wooden flooring. We are the leading importers and distributors of Laminate Wood Floors, Engineered/Hardwood, Solid/Natural Wood and Outdoor Decks across the state of Andhra Pradesh.